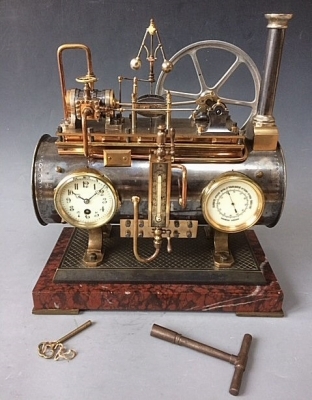 An industrial automaton - Boiler mantel clock, by A.R. Guilmet à Paris, France ca.1890. Bronze patinated and gilded horizontal steam boiler automaton with clock, barometer and thermometer. A separate clockwork drives the wind wing, pump and flywheel. 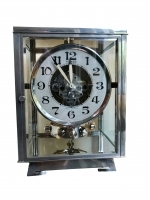 Clockmovement has a duration of 8 days and a cylinder escapement. 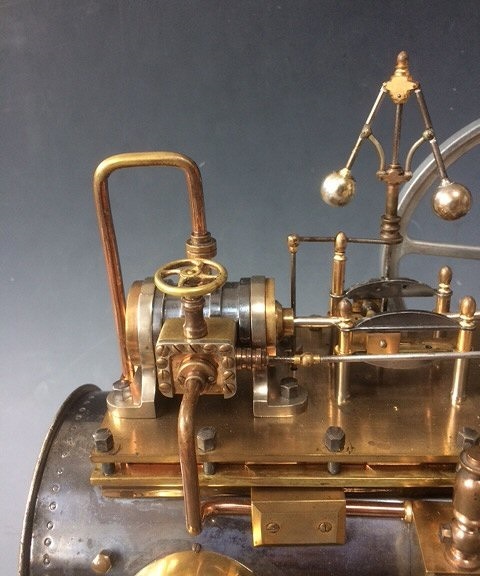 The engine of the automaton runs for a few hours. The rectangle shaped base. Accompanying: two original winding keys and documentation showing that the clock was donated to Engineer M.Charles Vincens around 1905 when he left a mine in Russia. Dimensions HxWxD 35x31x16 cm. Literature Derek Roberts: 'Mystery, Novelty, & Fantasy Clocks'. 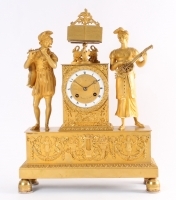 A more simple version of this clock is shown on p. 264. 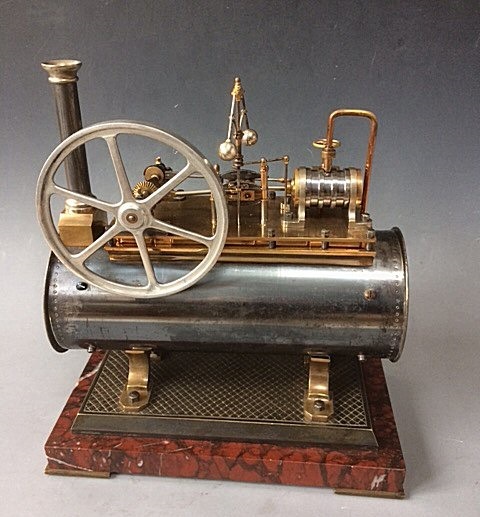 An automaton from Guilmet's industrial series. 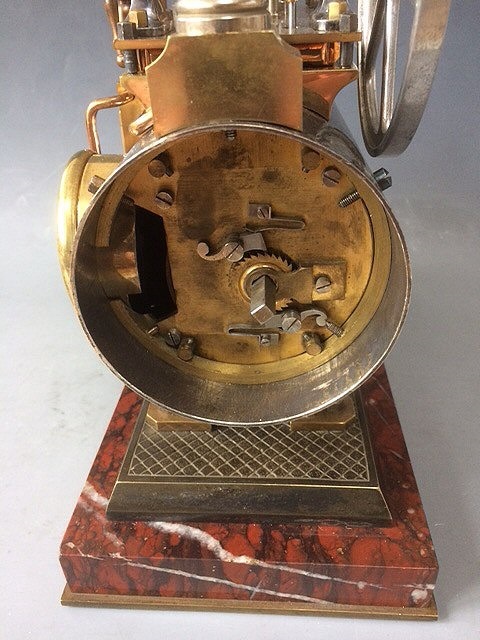 These French industrial clocks were popular in the last quarter of the 19th century, from 1885 - ’95. 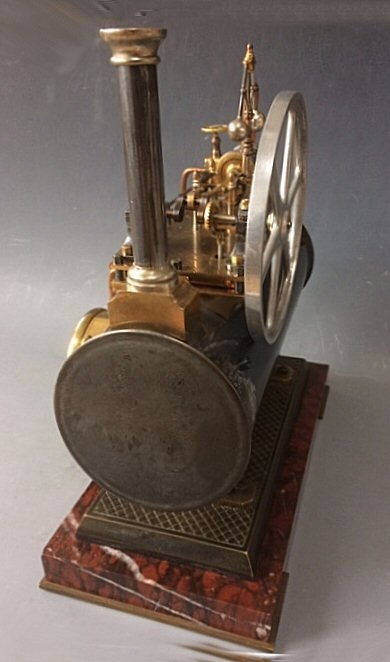 They were made in several different forms: locomotives, windmills, automobiles, flywheel pump clocks. 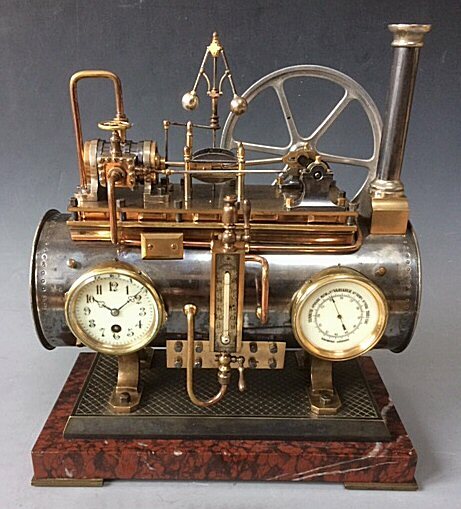 They showed the technical inventions and developments of the 19th Century. A.R. Guilmet was a horologer in Paris, first working Rue du Faubourg-Saint Martin and later on the Boulevard Sébastopol. 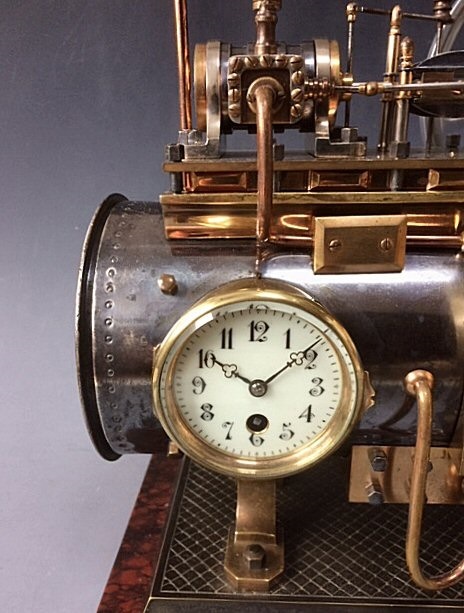 He was a fanatical inventor of mystery and industrial clocks.